If you are looking for a modern yet sophisticated bridal attire, be it for the bride or her maids, look no further than Mira Indria’s couture collection. I have been following Mira’s designs for almost a year. When I first saw a few of her couture dresses in person, I was astounded by the elegance of the pieces and how detailed they were. 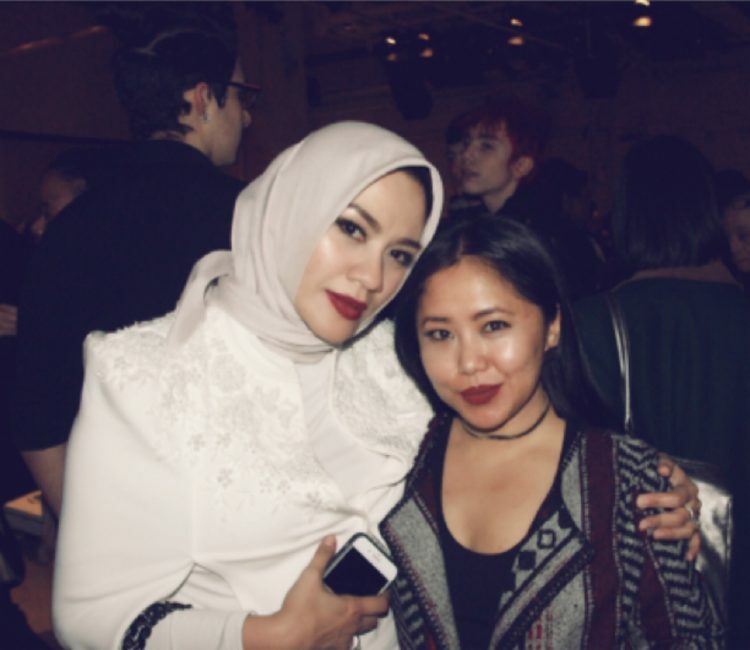 The same reaction happened when I officially met Mira at Anniesa Hasibuan’s DRAMA runaway show in New York Fashion Week: The Shows in February 2017. This woman is the definition of elegance. It is no surprise that her personality and grace transfer to her artistic work. 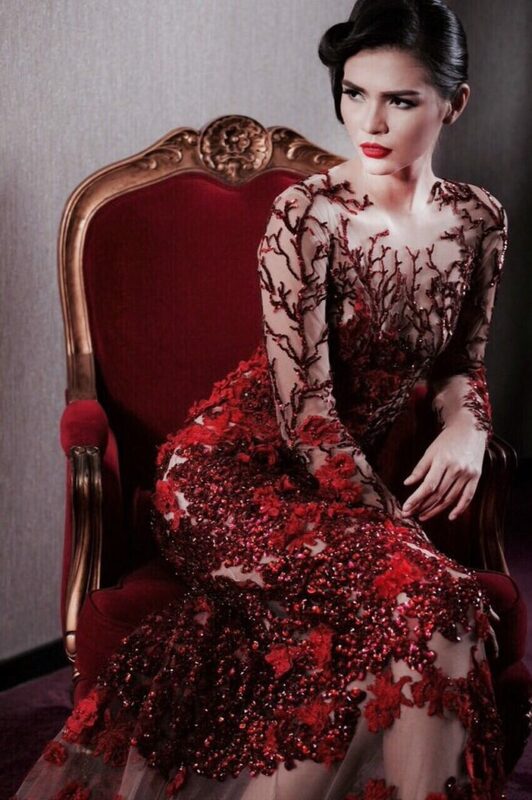 Mira Indria is from Bandung, Indonesia, and has been a couture designer for three years. 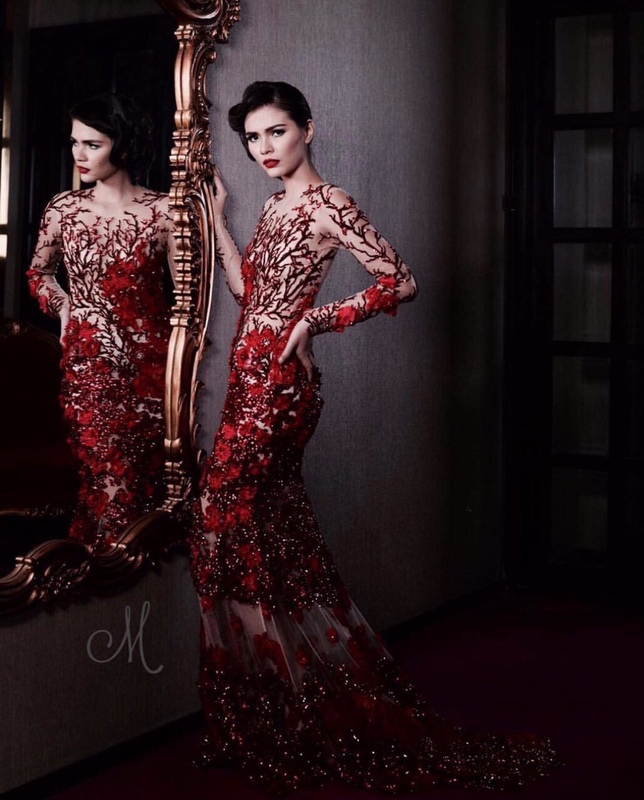 Though she is considered a newbie in this competitive industry, in Indonesia specifically, Mira’s couture collections are often worn by Indonesian public figures on red carpets and stages, at gala and ball events, as well as by Indonesian “it” girls on their wedding days. During my interview with Mira, I had to ask how she started in the industry, in which she said that her journey in couture was an accidental one. 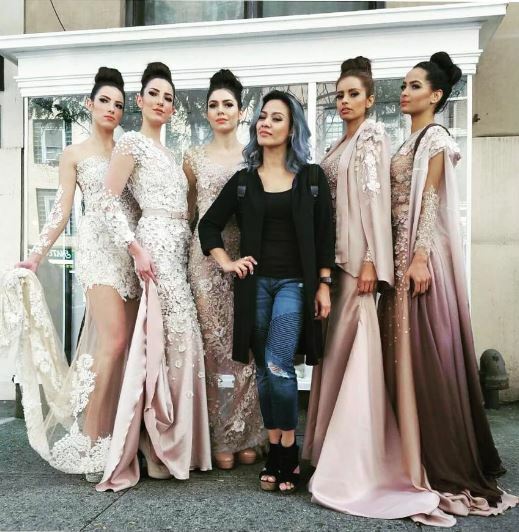 As someone who loves things that are handmade, Mira would design and make her own outfits for her shows (she used to be a singer); one of Mira’s girlfriends noticed and was mesmerized by them, then challenged her to create ten dresses in a span of four months. She successfully met the challenge, and people started to notice her more. When telling me her experience during the Couture Fashion Week, Mira’s face lit up more and she put on the biggest smile. She had no idea that everyone in New York would be so appreciative of her work. Mira was grateful of the hard work and dedication that her and her employees had put into every and each gown. "We started everything from zero. I make everything piece by piece. My team, who was initially not knowledgeable of my designs, is now the expert of all details of the Mira Indria's collection. Even though there are only ten of them, my team is the best team, and up to these days they have been part of my dream work." As for her designs – from laces to sheers to flower (not floral) embroiders - all these aspects are her trademarks and often seen incorporated in one gown. Each of Mira’s design is very unique; nothing is duplicate-able, even down to the smallest flower design. One of Mira’s biggest inspirations is Indonesian traditional kebaya, though she opts to make her collections more modern. As an Indonesian myself and a self-made woman, I cannot be more proud of Mira Indria. A rising star in the Indonesian design fashion world, part of this beautiful woman's success comes from her passion and believing that everything needs to have a strong foundation to go to another level. She is enjoying the process and cannot wait to keep creating and producing arts that make women feel more beautiful, empowered, and portray more of the self-confidence that they already have within themselves. Mira Indria’s future projects consist of men’s and ready-to-wear. Stay tuned!